This portable BT loudspeaker with exquisite and delicate appearance is suitable for you and your family to listen to music at home, office, bedroom. Simple and exquisite design ia a great decoration for your home. 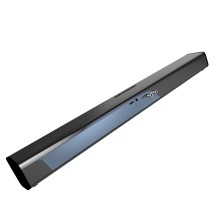 Intelligent BT loudspeaker, memory function for easy and instant pairing. BT loudspeaker 4.2 connects faster, more stable, compatible with all your BT-equipped devices, and outstanding connection range of up to 10 meters. Made you and your families have great fun. IPX4 Waterproof, dustproof, anti-scratch and shockproof loudspeaker.